He told Joy News' Kwesi Parker-Wilson, the emergence of groups like Hawks is "an appropriate natural response" to the failure of the Akufo-Addo government to rein in its party vigilante groups. "I endorse it fully", the NDC mastermind refused to condemn the Hawks who emerged at the Ashanti regional congress last Saturday. Other groups include 'The Dragons' based in the Brong Ahafo region and 'The Lions' based in the Eastern region. Asiedu Nketia told Joy News, although the party has not formed any such group it welcomes its creation because "self-preservation is the first law of nature". "They publicly insisted they did not have confidence in the security services of this country…Nobody took that seriously. But they won the elections and they are now in charge of the security services. "And they still maintain party vigilantes terrorizing everybody and the security services are quiet," he said. 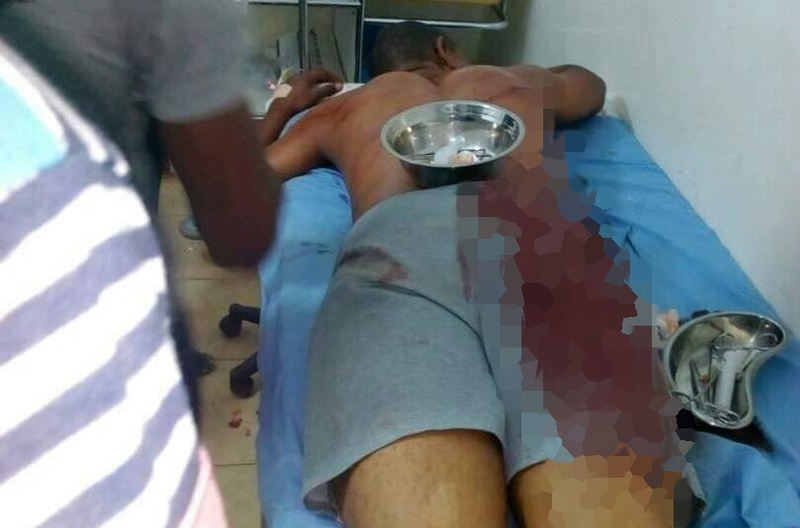 The NDC General Secretary said he has been a victim of NPP vigilante groups after he was attacked in Somanya in the Eastern region. The NPP thugs were using a vehicle branded in police colours, he said. NDC Member of Parliament for the Asunafo South in the Bono Ahafo region Eric Opoku was also attacked in April 2018 while his house and Toyota Land Cruiser was also damaged. Police said at least three NDC sympathizers sustained cutlass wounds to their heads and other parts of their bodies. The attack captured on video showed how the group, numbering about 50, besieged the Kumasi Circuit court premises in chants and taunts, broke into the court cells. They freed their members who had only weeks ago chased out the Regional Security Coordinator appointed by the President. The State Attorney in Kumasi later entered into a nolle prosequi partly because there was no evidence to convict eight suspects, a decision which infuriated sections of the public and condemned by some civil society groups. In the Northern region, Kandahar Boys forcibly removed the Tamale Teaching hospital's Chief Executive from their office, not once but twice. Kandahar Boys allegedly stormed the hospital in August 2018 and walked out the CEO, Akolbila, whom they accuse of misappropriating funds. That incident is only a replay of a similar incident in the hospital in February 2017 after Kandahar Boys stormed the hospital and walked out the then CEO Dr Prosper Akampong. The media dossier on the activities of the Kandahar Boys has since been growing after they accused their first victim Dr Prosper Akampong of corruption and nepotism in 2017. The NDC General Secretary said "absolutely nothing has happened" although the culprits are identifiable in all these cases. Asiedu Nketia said for the past two years, civil society groups, traditional and religious leaders have charged the president Nana Akufo-Addo to clamp down on his party's show of aggression. "Are you saying we on the NDC side, because we are good citizens we should keep quiet for the NPP to control the army, control police control everybody and on top of that one organise party thugs to attack us?" The emergence of the NDC version is, therefore, an attempt to compel civil society groups, religious and traditional leaders to dialogue with government over its failure to arrest the menace of political vigilantism. "Nobody negotiates from a position of weakness", he stressed and said the party will endorse any other vigilante group within the party that emerges.